In the world of high-efficiency solid-state lighting, not all LEDs are alike. As the technology is utilized in a more diverse array of applications—including search and rescue, water purification and safety illumination, in addition to their many residential, industrial and decorative uses—reliability and efficiency are top priorities. Performance, in turn, is heavily reliant on the quality of the semiconductor material at the atomic level. 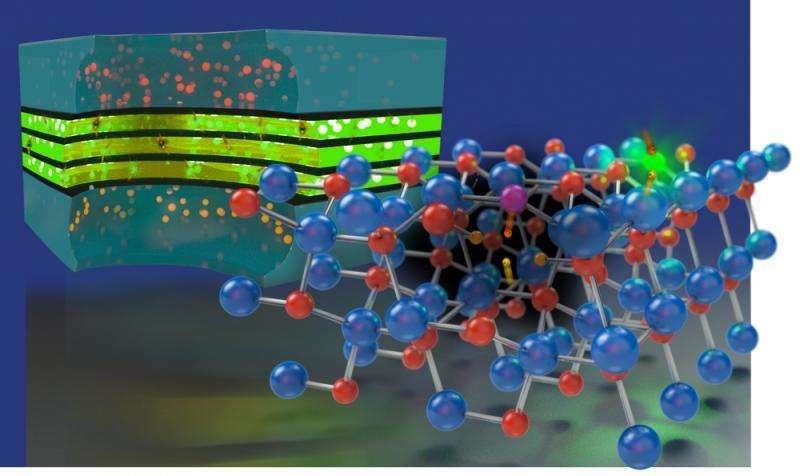 "In an LED, electrons are injected from one side, holes from the other," explained Van de Walle. As they travel across the crystal lattice of the semiconductor—in this case gallium-nitride-based material—the meeting of electrons and holes (the absence of electrons) is what is responsible for the light that is emitted by the diode: As electron meets hole, it transitions to a lower state of energy, releasing a photon along the way.